Home Internet What’s the Problem with Kodi add-ons? Kodi is a popular entertainment hub that allows users to stream the best media content from anywhere worldwide using either their dedicated cross-platform apps or set-top device. To effectively use Kodi on your mobile or desktop devices, you’ll need to install specific add-ons relevant to the kind of content you intend to stream. Like any other media platform, you may occasionally encounter problems with enjoying the service. Some of these problems are usually as a result of errors related to add-ons. It can be understandably frustrating when you’re all set to watch a movie, popcorn in hand, and all of a sudden, Kodi add-ons fail to function properly. Nobody likes that, we know. The following provides an overview of Kodi add-ons and some of the most common challenges you may encounter while using them. You can also expect to find straight forward solutions to some of these problems in this article. In order to enjoy Kodi, add-ons are the special ingredient you need. Kodi add-ons essentially bring the life out of your Kodi app or device. These add-ons give you improved access to a wide range of media content available online. While some provide live broadcast, others provide content hosted in external links. Add-ons on Kodi typically fall into two categories, official and third party. Official add-ons are available from within the Kodi app and automatically update themselves regularly. On the other hand, add-ons like Exodus on Kodi are not available directly from Kodi and would need to be downloaded from the third-party developer’s website before installing on Kodi. The following are the most common problems that affect Kodi add-ons from functioning smoothly. Sometimes you may find it difficult and impossible to install certain or any Kodi add-ons, making it impossible to watch your desired content. While this can be caused by a host of reasons, the most likely cause of add-ons failing to install is due to outdated apps. Some of the add-ons may also no longer be supported by their developers meaning they may never likely work with more recent versions of Kodi. If you’re struggling to uninstall or delete a Kodi add-on, you’d be pleased to know that they can be removed from outside the Kodi interface. In order to delete an add-on from outside the Kodi interface, simply navigate to your %APPDATA%\Kodi\addons\ folder and delete the specific one you’re after. This is a common error with Kodi that prevents add-ons from performing searches. When this occurs, you’ll most likely be unable to access media stored locally or online even if you’ve accessed them recently. This problem has been known to occur when your device’s time and date are incorrect. Things should easily revert back to normal if you correctly configure your date and time. This can occur for a variety of reasons for both locally stored media and those online. Streaming can also be affected as a result of incorrect system date and time. The error occurs when Kodi fails to pull the relevant information from the add-on which could simply be as a result of incorrect time and date our outdated add-ons. If you’ve ever experienced a black screen when starting your Kodi app or device, or a sudden blank screen during operation, this is for you. This is caused when you’re upgrading your Kodi version from 16 to later editions and arises when the skin changes along with the versions. To fix this problem, you’d need to delete the Addons.db file from your device database. The file can be found by locating your Userdata/Database folder. There’s also another way to clear this if you’re experiencing this issue from Kodi on your Amazon Fire Stick. To do this, Force Stop Kodi and then clear your cache from app settings. When using Kodi add-ons, you may likely encounter content from different sources via add-ons. The concern here is that while we do not recommend accessing copyrighted content without authority online, you may have no control over what kind of content add-on developers put up. 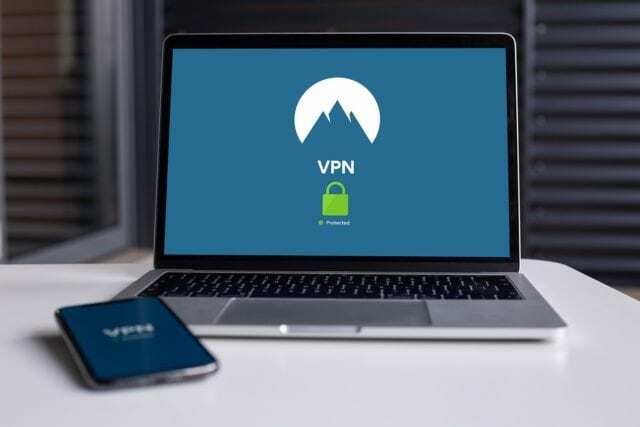 So, to avoid any legal complications, copyright infringement slaps, or monitoring from copyright trolls and even your ISP, we recommend using a VPN. A VPN will keep your real IP address hidden and ultimately protect you from any third-party tracking. Fixing problems with Kodi add-ons is usually pretty quick if you know what to do. However, there are situations where it is completely out of your hands especially if the add-on has become obsolete or is no longer compatible with a newer Kodi version. In addition, we always recommend using a VPN to access Kodi to avoid getting caught up in any legal complications.